Product description: Dhool Paudhon Par is written by Govind mishra and published by Vani prakashan. 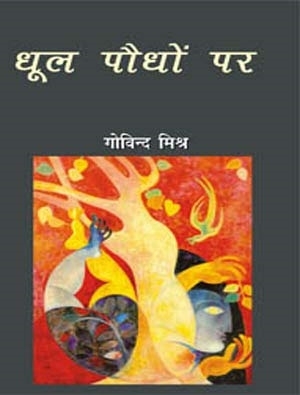 Buy Dhool Paudhon Par by Govind mishra from markmybook.com. An online bokstore for all kind of fiction, non fiction books and novels of English, Hindi & other Indian Languages. Govind Mishra is a well-established Hindi novelist and short-story writer. In the creative span spread over fi fty years, he has to his credit fifty-three books including ten novels, several collections of short stories and a volume of poetry. He received the Vyas Samman for Paanch Aangno Wala Ghar (The House with Five Courtyards) in 1998, the Sahitya Akademi Award for Kohre Mein Kaid Rang in 2008 and the Subramanyam Bharati Award in 2000.